New Wave is proud to supply most of the finest restaurants and hotels in central and southern England, as well as pubs, cookery schools, conference halls, colleges, universities, sports clubs, circuses and celebrities. Here is a selection of testimonials from just some of our loyal and distinguished customers. I have been using New Wave for over 10 years now and have seen their range of produce grow enormously. They always have what we need and have never let me down. We have used New Wave at the Nut Tree for the past 9 years and in other establishments previously. The fish is always outstanding and their prep work is second to none. Thank you, New Wave – we look forward to working with you in years to come. We have had 5 years of amazing service from New Wave, who have never let us down. The Lion couldn’t have got where it is today without them. I have used New Wave for at least 19 years – almost back to when Tim started. I have always found them to be consistent with quality, service and price. 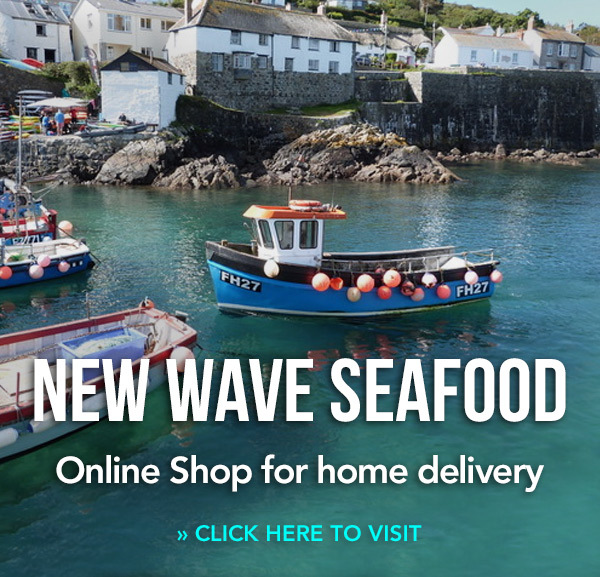 New Wave are always on hand to supply the very best produce at a decent price – not only fish, but also dry goods that are handy to have on the next day’s delivery for a small independent restaurant like ours. We shall continue to use New Wave and expand the range of products we take from them. New Wave’s early morning customer service is spot on – they are full of knowledge and are great at knowing what we need rather than trying to sell us things we don’t want. The quality of the produce is always first class and they are a very reliable supplier. Andy works very hard sourcing the best fish at competitive prices with a smile at the end of the phone. New Wave has consistently supplied us with excellent fresh fish for our menus, as well as the award-winning local cheeses and speciality ingredients that we use for our fine-dining events. Nothing is too much trouble for Tim and his team when it comes to sourcing ingredients. Oz is always there when I need him, the specials are fabulous and the quality is second to none. We really trust New Wave to get the best seasonal produce available. Sam and the gang always look after us and it’s great to get the heads-up when interesting ingredients become available. New Wave have been our sole supplier for 10 years, and we also buy all their other wonderful fish and fruits of the sea! Our reputation is built on consistency and we know we can rely on New Wave for quality and service. We would recommend them to anyone without hesitation.